Yulia Skripal, the poisoned daughter of Russian ex-spy Sergei, has rejected Russian embassy help “at the moment”. The 33-year-old, who was discharged from hospital on Monday, said her father is “still seriously ill”. In a statement issued through police, she said she was not yet strong enough to give a full media interview but “no-one speaks for me, or for my father”. The Russian embassy said it doubted the statement “really belongs to Yulia” and said it raised new questions. 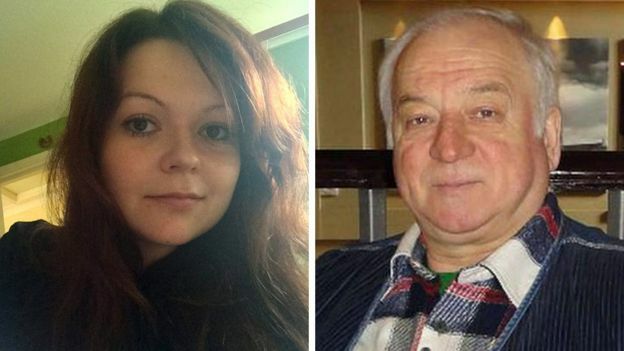 Ms Skripal and her 66-year-old father, who were found slumped on a park bench in Salisbury on 4 March, were exposed to the toxic nerve agent Novichok. Mr Skripal remains at Salisbury District Hospital. In her statement, Ms Skripal said she found herself in “a totally different life than the ordinary one I left just over a month ago”. Ms Skripal, who has been taken to a secure location, added: “I have specially-trained officers available to me, who are helping to take care of me and to explain the investigative processes that are being undertaken. “I have access to friends and family, and I have been made aware of my specific contacts at the Russian embassy who have kindly offered me their assistance in any way they can. The Russian embassy said the statement “only strengthens suspicions that we are dealing with a forcible isolation of the Russian citizen” and called on UK authorities to “urgently provide tangible evidence” that Ms Skripal was not deprived of her freedom. “With no possibility to verify it, the publication by the Metropolitan Police raises new questions rather than gives answers,” it said. “As before, we would like to make sure that the statement really belongs to Yulia. So far, we doubt it much. The UK government says Russia was behind the poisoning, which has led to a diplomatic crisis between Moscow and the West. The Russian government has denied any involvement and accused the British of inventing a “fake story”. More than 20 countries are expelling Russian envoys in solidarity with the UK. Tests on the nerve agent used on the Skripals have been conducted by the Organisation for the Prohibition of Chemical Weapons (OPCW). A report from the OPCW has been received by the Cabinet Office and an executive summary will be published on Thursday. 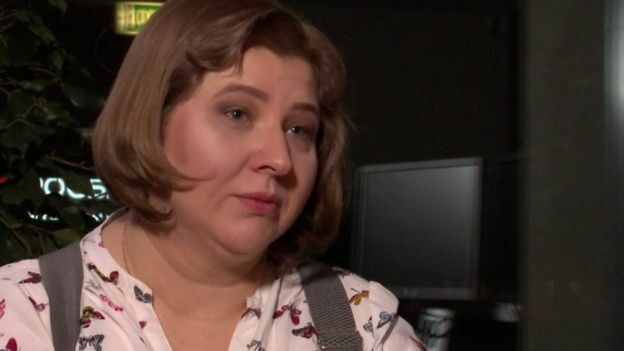 While Yulia and Sergei were both being treated in hospital, her cousin Viktoria Skripal, who lives in Russia, gave interviews to Russian news agencies and international outlets. Following Ms Skripal’s discharge from Salisbury District Hospital on Monday, her cousin told Russian news agency Interfax that Ms Skripal planned to ask for political asylum – although she did not know in which country. But in her most recent statement, Ms Skripal clarified that Viktoria’s “opinions and assertions are not mine and they are not my father’s”. She said: “I am not yet strong enough to give a full interview to the media, as I one day hope to do. Until that time, I want to stress that no-one speaks for me, or for my father, but ourselves.